From soccer to hockey to football, these sports bars in TN have it all. Relax with some food and drinks while you cheer on your favorite teams with other fans. These Tennessee sports bars guarantee an exciting night filled with sports! Jonny's Sports Bar is the home of UFC fans in TN. The waiters are very attentive even when it's crowded. They have a great selection of beers and their food is the reason you keep coming back for more, especially their pizza, fried pickles and their sandwiches. The best thing in Jonny's is the happy hour they have every day at 10 pm where you can get beers at half price. If you want to watch some UFC games while enjoying good food, Jonny's Sports Bar in Nashville can serve it for you. 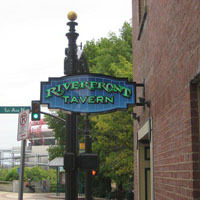 Riverfront Tavern is one of the best sports bars in Tennessee. The foods are great, they have many beers to choose from and the prices are good. It's a place where you can have a chat with your friends or colleagues. They do have a juke box, a pool table, a skee ball machine and you can also play darts. If you want to have chat with friends while watching some sports, Riverfront Tavern is the place for you. Sam's sports bar and grill was nominated as best sports bar in Nashville, TN 10 years in a row. They also have a happy hour, which is everyone's favorite. They don't allow smoking inside so they have a good atmosphere. They have karaoke and good food with the right price. If you don't watch sports games but your friend ask you to go here, Sam's sports bar and grill is definitely the bar you need to go to. 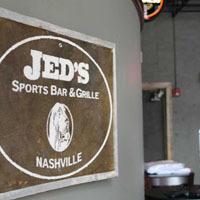 Jed's sports bar & grille is one of the best bars in Tennessee. 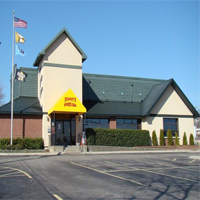 They have superb employees, who are very attentive, friendly and they have a sense of humor. They have a happy hour from 4pm to 7pm Monday to Friday. They also have music, which everyone likes. 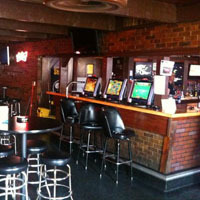 If you're looking for a bar with a friendly environment, Jed's sports bar & and grill is the best place for you. 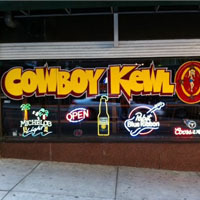 Cowboy Kewl Sports Bar is known for their very friendly staff and waiters and very affordable but tasty foods. Their service is fast, you don't have to wait 10 minutes to get an order. They do have live bands, a jukebox and they also have poker tournaments on Wednesday. If you want to go to a bar just for the sports and the food, then Cowboy Kewl Sports Bar in TN is the best place for you. 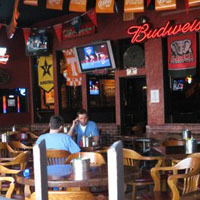 Spankys Sports Bar and Grill is located on 330 Welch Rd, Nashville. The good thing about this bar is they have a happy hour, the best nights are from Thursday to Saturday. They do have good food inside like their burgers and salads. They do allow smoking inside, which isn't good to non-smokers but the atmosphere is still great. They also have a high definition TV and you can also play pool. They also have good beers inside. Any sports fan will love this place because of the atmosphere. If you're going to Nashville you might want to stop on Spankys Sports Bar, this is the home of many sports fans.